GPEP GmbH (“GPEP”), has taken over the portfolio as well as the asset and property management rights for a portfolio of 3 superstores and 3 special retail centres with strong anchor tenants on behalf of an institutional investor. The 6 properties, having a combined rental space of over 54,000 sq m, generate annual rental incomes in excess of 5.1 million euros. The goal is the further technical and economic optimisation of the properties through extensions and alterations. This is intended to result in a near-term increase in the occupancy rate from its present level of above 90% to almost 100% on the one hand as well as increased property values over the long term on the other hand. An attractive tenant mix, including food outlets, and a welcoming ambience should help retain existing tenants over the long term while at the same time gaining new tenants. The properties are located in Lower Saxony, North Rhine-Westphalia, Rhineland- Palatinate, Hesse and Bavaria and are easily accessible and visible. Around 40% of the space is leased to food retailers, including Kaufland, real and REWE. The remaining, mixed-use, areas are, at just under 60%, operated by retailers in the areas of textiles, household goods, DIY and automotive. “We are now also seeing an increase in the targeted demand for active asset management in the retail sector. 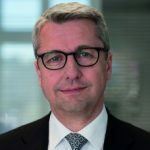 To optimise their portfolios, investors are using specialists”, explained Jochen Friedrich, Managing Director of GPEP, whose areas of responsibility also include marketing and sales. 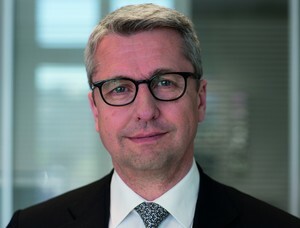 “In contrast to residential and office properties, the high profile of the potential tenants such as chain stores or textile chains is just as important to generate maximum returns for investors as is the assessment of the location and the technical expertise”, added Herwart Reip, Managing Director of GPEP GmbH, whose areas of responsibility also include due diligence as well as portfolio management and financing.